The new AMD Zen 2 CPU architecture has been front and centre at yesterday’s Next Horizon event. While it was ostensibly a datacentre-focused event, the company uncovered some fascinating new design points regarding the upcoming Zen 2 CPU layout, including its “revolutionary chiplet design.” The event covered what the Zen 2 EPYC server chips will look like, but we expect the consumer design will likely follow suit. 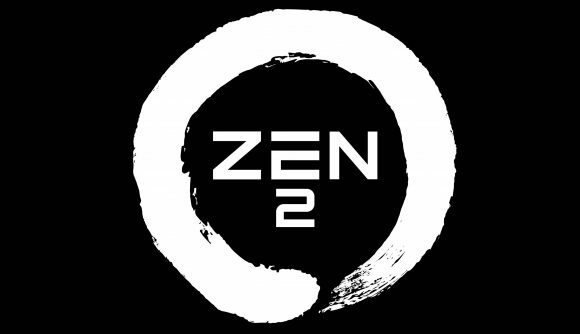 AMD has re-confirmed that the Zen 2 silicon will arrive next year, and that it will come with a new, unique multi-chip chip design. That means it will house both 7nm and 14nm silicon – with “each IP in its optimal technology” – so it’s not just using 7nm chips for the sake of it. 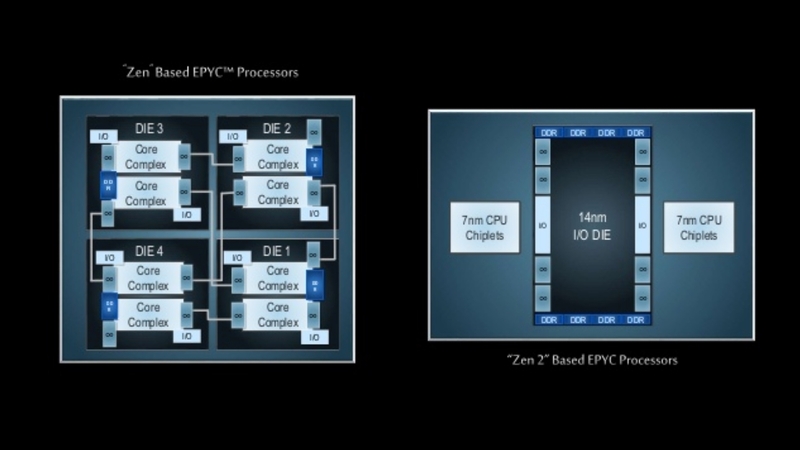 The Zen 2 CPU chiplets themselves will be built on the new TSMC 7nm process node, but the I/O die, the part that handles all the inputs and outputs for the processor silicon, will be built using the existing, stable 14nm lithography. AMD has previously spoken about using chiplets, and, of course, AMD’s Inifinity Fabric will be used to connect it all together and ensure this modularity doesn’t come at the cost of either latency or overall performance. 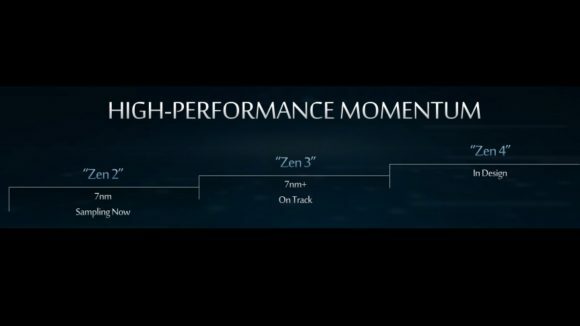 AMD also spoke about the improved performance of the Zen 2 architecture, with the new design reportedly offering double the throughput, with new front end advances, floating point advances, and a doubling of the core density. We’ve heard a lot of talk prior to the Next Horizon event about the IPC improvements around Zen 2, but this is the first concrete evidence about what will drive that extra performance. There’s also tacit confirmation that there is the potential for a ludicrous number of cores to be dropped into the next generation of AMD desktop processors too. 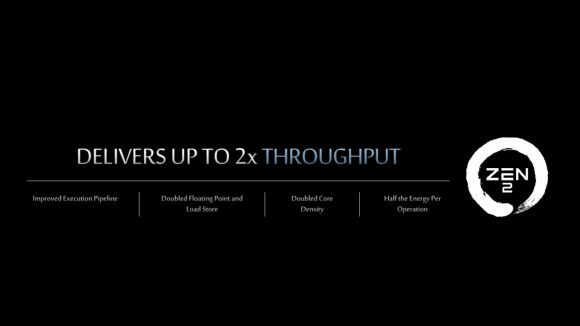 Sure, the doubled core density claim is made regarding the datacentre CPUs, but the modular design has been used to ensure scalability of the Zen architecture from the top to the bottom of its stack, so it’s not wild speculation to think AMD will sing from the same hymn book this time around. Therefore we can be pretty confident there’s a whole lot of processor coming into play with AMD CPUs in 2019. 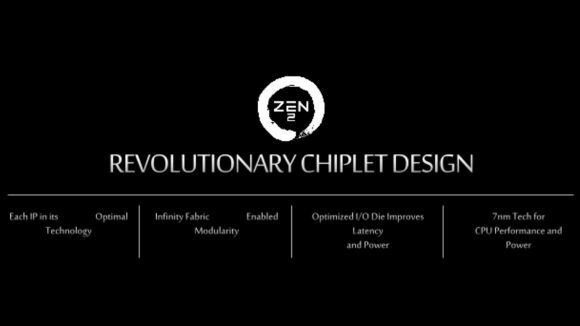 And not only does the Zen 2 design offer extra cores, but the 7nm production process and the new chiplet architecture means it will be dropping the power demands too. AMD is promising half the energy per operation, which should allow it to significantly up the base and boost frequencies of its processors too. 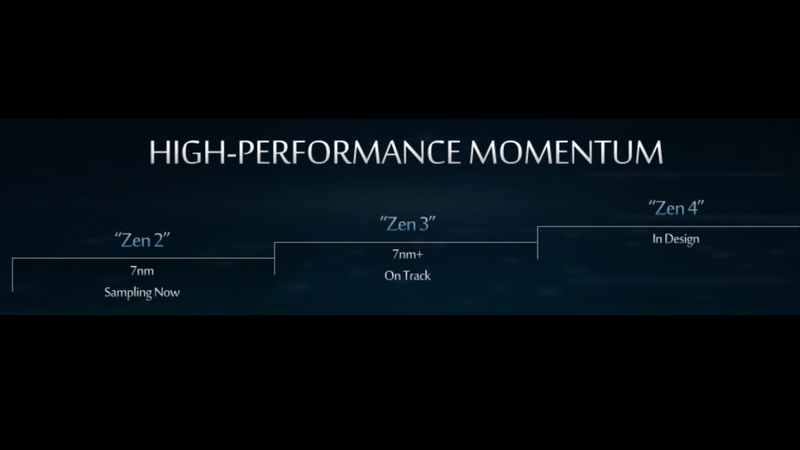 But AMD isn’t stopping there, it also took time no give a nod to Zen 3, on the 7nm+ node, saying that is ‘on track’ and that the Zen 4 architecture was already ‘in design.’ AMD’s momentum seems to be rolling along nicely and if the datacentre design translates down to the desktop in the same way as Zen has done, then it’s going to take a Herculean effort for Intel to remain competitive.